What a difference a year makes. Twelve months ago it was almost impossible to find Australian organisations that had embraced cloud computing. Now pretty much everyone is planning, piloting or executing some form of migration to the cloud. If there was ever doubt that cloud was little more than hype, it was eradicated in April 2010 by Commonwealth Bank of Australia (CBA) group executive for enterprise services and chief information officer, Michael Harte. In a speech to Committee for Economic Development in Australia, Harte declared that never again did he wish to be locked into using proprietary hardware or software and cloud computing was his escape route. Harte is one of many CIOs who have been able to satisfy concerns that initially arose regarding the data security, accessibility and governance of cloud computing. The bank has been investigating ways to buy software and infrastructure as a service for several years. A trip to the US in May 2007 included a meeting with Google and a chance to investigate its cloud-based services for messaging and email. At the time, however, there simply wasn’t the business motivation for suppliers to make the switch. We want to get out of infrastructure computing and into fine-grain components and highly granular data, so that our customers enjoy new services. CBA’s adoption of cloud computing is more a matter of business philosophy than technological evangelism. An initial area of activity has been in test and development, which Harte says can account for up to 40 per cent of the bank’s server resources. CBA is utilising capacity-on-demand from Savvis and Amazon Web Services for part of the workload. Harte is not alone in his thinking. For many CIOs, the cloud is a chance to move away from technology strategy and embrace business strategy, although the definitions of cloud computing remain a grey area. Westpac, for example, has completed a trial of an internal private cloud and plans to bring the service into production. This is not about saving money; it is about reducing risk and improving business continuity. Curtin University of Technology CIO, Peter Nikoletatos, sees cloud computing as part of a strategy to move away from managing assets to managing information. Curtin is working with Optus to investigate taking its virtualised servers and desktops to the cloud using VMware’s vCloud technology. Curtin has also signed on with Microsoft’s Live@edu hosted service for e-mail, calendaring and collaboration, and is examining Microsoft’s Azure cloud platform as an application development layer that can grow with the university. He says that the experience for students is going to change significantly in the next 10 years, requiring greater flexibility in how data is handled. 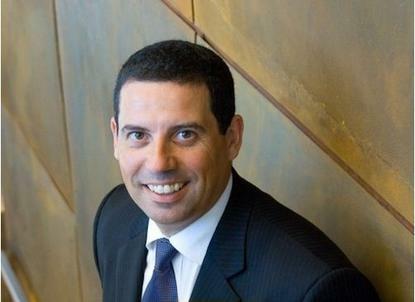 As the deputy chair of the Council of Australian University Directors of IT (CAUDIT), Nikoletatos says many other universities are looking to cloud computing as a way of reducing costs and increasing functionality, including through collaboration. “The University of Melbourne, Monash and RMIT are all working collectively on a model with a Fujitsu data centre in mind,” Nikoletatos says. That large organisations are treating cloud computing seriously reflects the rapid maturity of the capabilities of many service providers. According to the chief technology officer at Melbourne IT, Glenn Gore, much has been learned in a short period. Melbourne IT has been running VMware’s vCloud Express service since September 2009 and is now switching over to a full vCloud implementation, with vCloud Express to be relaunched as an SME-focused service later this year. Melbourne IT is one of several service providers to launch cloud service offerings, and they are finding customers quickly. The earthmoving equipment maker Komatsu, for example, has signed with Telstra to have its IT infrastructure delivered as a service. Komatsu CIO, Ian Harvison, says the decision was catalysed by the expiration of the leases on several of its servers, coupled with the infrastructure in its data centre beginning to show its age. Harvison supports 1200 staff spread across 43 branches around Australia, New Zealand and New Caledonia. He invited three organisations — Hewlett-Packard, Fujitsu and Telstra — to investigate Komatsu’s requirements and propose a new infrastructure plan. HP withdrew, and the solution that stood up from a cost perspective was Telstra’s. Komatsu has signed a five-year, whole-of-business agreement for Telstra to provide infrastructure-as-a-service in a virtual private cloud, and has also renewed its communications contract with Telstra. “This really is about aligning our resources to focus on the strategic and the core things we need them to do,” Harvison says. The problem in the traditional model is you have to go and buy a server, put it in, and put the whole disaster recovery environment in place. The first phase has been to port Komatsu’s SAP environment to the cloud, followed by ancillary applications including Microsoft Exchange and file and print servers. Komatsu will also co-locate its mainframe and remaining servers in the Telstra facility. Its data centre will be shut down, but all data will remain in Australia. Harvison says the decision enables Komatsu to take advantage of new technologies such as Microsoft’s managed enterprise services for the smartphones. Komatsu turned to an external provider, but other organisations are choosing to create their own clouds as a more effective way of servicing clients. The Australian Bureau of Statistics (ABS) is one example. The constrained resources available to the ABS have meant that it has long operated a chargeback model for its 3200 staff and 1000 field researchers. But whereas the old model was based on CPU cycles, ABS director of infrastructure, Tony Marion, says that by reorganising its data centre using virtualisation technology, it has been able to configure it as a private cloud and charge clients based on variable overall resources. Chargeback is handled through VMware’s Virtual Centre, with the ABS recording the main variables of CPU, memory and disk. Marion says the ABS is now able to provision a test and development environment for its offices almost instantaneously, whereas previously it might have taken two or three months. Marion is also looking into desktop virtualisation within its cloud to enable staff work from anywhere on any device. Similarly, the Catholic Education Network has created its own internal private cloud. CENet services the IT needs of 15 Catholic dioceses encompassing 705 schools across NSW, Queensland and the ACT and Darwin, with a student population of 250,000 and 20,000 teachers. CENet chief executive officer, Bede Ritchie, explains that when faced with the need to refresh its server environment, the network opted in January 2010 to virtualise using technology from NetApp and VMware, giving it the basis of a private cloud. The initiative has also taken advantage of the Catholic Network Australia program that has improved the bandwidth to the majority of schools across the country. The new configuration enables CENet to offer infrastructure-as-a-service to the dioceses to run their own discrete services. “The big benefit from my perspective is taking away the responsibility for them to have to worry about hardware,” Ritchie says. “A diocese can request a VM, request some storage, run it up, and three months later just make it disappear and go back in the pool again.